An all-affordable housing scheme in Nuneaton being delivered by Midland Heart housing association and developer Partner has been shortlisted for two Insider Property Awards, West Midlands. The St Mary’s Road scheme is up for Property Deal of the Year for the way in which numerous stakeholders brought the deal together in just eight months. It has also been shortlisted in the Commercial Developer of the Year category. To develop the “deal” a wide range of agencies including Midland Heart, Partner and Nuneaton and Bedworth Borough Council worked together to take the project from the initial land bid through to starting on site. The core team was supported by a number of agencies including Inside Land and MacNamee Consultants which sourced the land, Homes England, RG+P architects and planning consultants, Curtins Engineers the pre-construction engineers and the solicitor firms Anthony Collins, Shoosmiths and Freeths. “The real success of the deal has been the seamless collaboration by key stakeholders who worked together to achieve a successful outcome. We achieved a start on site in August, eight months from the initial land bid, which included the planning process. This is a remarkable turnaround for a site of this size. “This development will be unique in that it is a 100 per cent affordable housing scheme of 53 homes for affordable rent and 42 for shared ownership, which will be dispersed throughout the site. It is also bringing a derelict brownfield site previously owned by the local authority back into use. “This project has gone incredibly smoothly with all partners being committed to achieving the same goal. 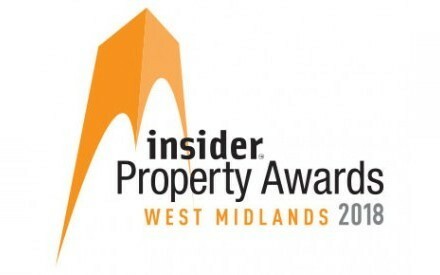 A panel of independent judges selected the finalists for the awards which will be announced in Birmingham on November 1.